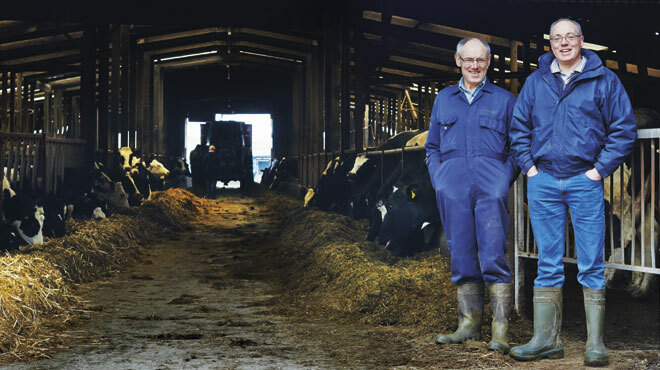 “It’s a family farm,” says dairyman Edward Booth of Wigglesworth Hall Farm in North Yorkshire, where he cares for a herd of 200 Holstein Friesian cattle. His grandad was the first to farm here, his mum and dad are partners on the farm, and he works alongside his wife, their three children and a full-time herdsman, while relief milking is done by an uncle and a cousin. As one of four family farms, Wigglesworth Hall Farm is paid above market price for the milk it sends to Booths. “The premium gives us the confidence to invest a bit harder in our business and really push things on,” says Edward. “Animal welfare’s always at the top of the list, but it enables us to go that extra yard.